When you’re overcome by heart-stopping panic, overwhelmed by fear, or tired from numerous sleepless nights spent worrying, you may be tempted do just about anything to get relief. While there is no question that anxiety can be disabling, is medication the best answer? Is there good evidence that drugs are beneficial in the long term? Exactly what are the safety concerns and reported side effects? These are a few of the important questions you might want to consider when deciding if anxiety medication is the correct course of action. 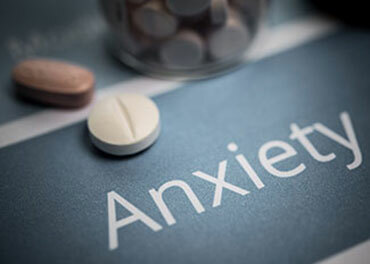 A number of types of medications are prescribed in the treatment of anxiety disorders, including anti-anxiety drugs such as benzodiazepines (intended for short-term use) and other options like SSRI antidepressants (prescribed as a long-term anxiety treatment). While these drugs can provide temporary relief, they also come with significant side effects and safety concerns. Medication is not a cure. In fact, there are many questions about their long-term effectiveness. According to the American Academy of Family Physicians, benzodiazepines lose their therapeutic anti-anxiety effect after about 4 months of regular use. Research has also reported that the effectiveness of SSRIs in treating anxiety has been overestimated, and in some cases is no better than placebo. Additionally, many anxiety medications can be difficult to quit without experiencing withdrawal or rebound anxiety. Anxiety medicines do have some severe side effects in some cases. But it’s actually not the side effects that are the reason to try to avoid medications. The primary reason is because these drugs can cause physiological and psychological dependence. Grouping all anxiety drugs into the same category can be misleading. This is because some have more side effects than others and some are stronger than others. Benzodiazepines typically have some serious side effects, while buspirone generally has fewer. However, buspirone is also much weaker which is why people with anxiety prefer to take benzodiazepines. Heart problems, especially in those with possible cardiovascular disease. Persistent pulmonary hypertension (possibly fatal lung disease). Most of these are related to SSRIs. With benzodiazepines, the patient eventually becomes dependent, which is when the body adapts to the medication. Dependency means that the medication will stop working as well due to increased tolerance which means that you will need to either take larger does or find a replacement medication. Second, weaning off the drug incorrectly can lead to severe withdrawal symptoms. These withdrawal symptoms are not unlike withdrawing from heroin, and may lead to increased anxiety, depression, psychosis, seizures, hypersensitivity, and possibly suicide. Withdrawal can be life-threatening, which is why benzodiazepines often need to be slowly weaned off of over time. The bottom line is that there’s a time and place for anxiety medication. If you have severe anxiety that is affecting with your ability to function, medication may be helpful in the short-term. A large number of people take anti-anxiety medication after psychotherapy, exercise, or other self-help strategies don’t seem to help. So while anxiety medications can help with some symptoms, they’re not right for everyone and they’re not the only answer. Ashton, Heather. Benzodiazepine withdrawal: an unfinished story. British medical journal (Clinical research ed.) 288.6424 (1984): 1135. Stewart, S. H., and H. A. Westra.Benzodiazepine side-effects: from the bench to the clinic. Current pharmaceutical design 8.1 (2002): 1. Vanderkooy, J. D., Sidney H. Kennedy, and R. Michael Bagby.Antidepressant side effects in depression patients treated in a naturalistic setting: a study of bupropion, moclobemide, paroxetine, sertraline, and venlafaxine. Canadian journal of psychiatry. Revue canadienne de psychiatrie 47.2 (2002): 174. Vgontzas, AlexandrosN, Anthony Kales, and E. O. Bixler.Benzodiazepine side effects: role of pharmacokinetics and pharmacodynamics. Pharmacology 51.4 (1995): 205-223.